Tips on British Study Visa Application | Go For Visa | Australia Immigration Consultant & Visa Experts in India. Whatever reasons you might have for applying for study in UK, every international student has to apply for Tier 4 Student Visa. 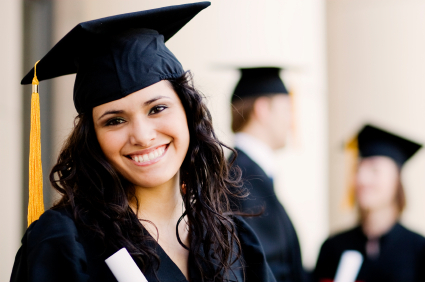 This particular visa offers you right to study in UK for defined period of time. During initial time, it may appear a challenging task with several forms to fill out and various facts to check, but for eligible students the application process of UK education is bit straightforward. Here are some useful tips on British Student visa application. Make sure the college you are applying is legitimate before paying any advance fees to secure your place or to avail Confirmation of Acceptance of Studies (CAS). As there has been a clean-up made in UK on illegal institutions in recent time, make sure you don’t get trapped by the bad intentions fake colleges. Make sure you apply for the process as soon as you get your CAS and get all the 40 points needed under points based system of Britain. Sometimes, the application process may take longer time than the duration given on the website of UKBA. So make sure you don’t keep anything for last minute. Send all the necessary documents you require to get CAS along with your visa application. If you don’t have any necessary documents then inform concerned officials when you submit those. Remember that even minor errors may result in ban of your visa application for long period of time. Get in touch with UKBA if you have to submit any additional documents along with your application. Applicants of some specific countries will need to submit Tuberculosis (TB) screening certificate if required. The important thing is to do some comprehensive research so that you can organize your application in proper manner. Make sure all the details mentioned in your application are genuine and if you want to update anything then get in touch with concerned officials at prior time. If you follow all the steps properly, you will face no trouble in securing visa in world’s leading education destination. 3.In Canada, the immigration program can offer subsequent immigration, would studies in US help you in immigration, i.e if you are interested in immigrating? 4.Does the University offer scholarships? 5.Which course, whether from Canada or from USA is more accepted in your home country?